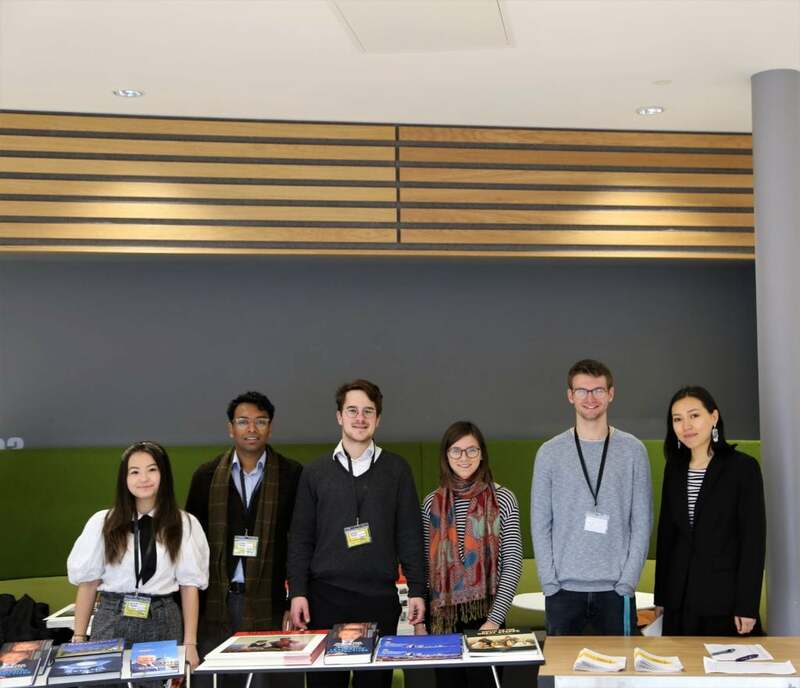 Here’s a recap of what happened at our inaugural conference in 2018: talks, speakers, seminars and much more. The first con­fer­ence by the Cent­ral Asia For­um was the first of its kind in the United King­dom. 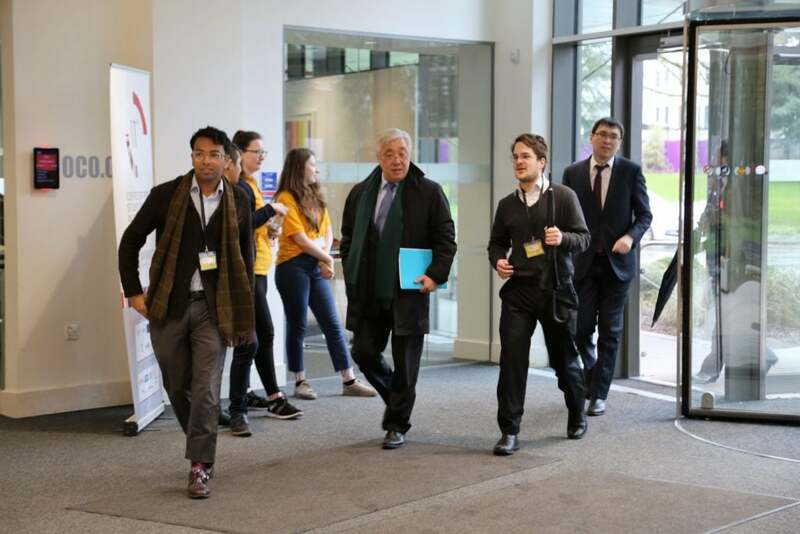 The all-day event, which took place in Warwick’s state-of-the-art Oculus build­ing, con­sisted of lec­ture-style talks and smal­ler break­out ses­sions, with speak­ers intro­du­cing the audi­ence to a diverse range of top­ics relat­ing to the region. Indeed, the conference’s focus was on the trans­form­a­tions affect­ing the region, be they social, polit­ic­al, eco­nom­ic or cul­tur­al. To this end, the CAF invited aca­dem­ics from lead­ing Brit­ish research uni­ver­sit­ies, as well as the key­note speak­er: His Excel­lency Erlan Idris­sov, Ambas­sad­or of Kaza­kh­stan to the United King­dom. Idris­sov spoke at length about Kazakhstan’s devel­op­ment­al pro­spects and policy, before open­ing up to ques­tions from the audi­ence. He emphas­ised in par­tic­u­lar the Kaza­kh government’s approach to nation-build­ing, provid­ing a nuanced per­spect­ive on the top­ic. The Ambas­sad­or keenly poin­ted out his sup­port for the con­fer­ence, which was a sign of new gen­er­a­tions becom­ing inter­ested in less­er-known geo­graph­ies. He also poin­ted out the danger of nation­al ste­reo­typ­ing and thus encour­aged the audi­ence to devel­op informed opin­ions on the region. 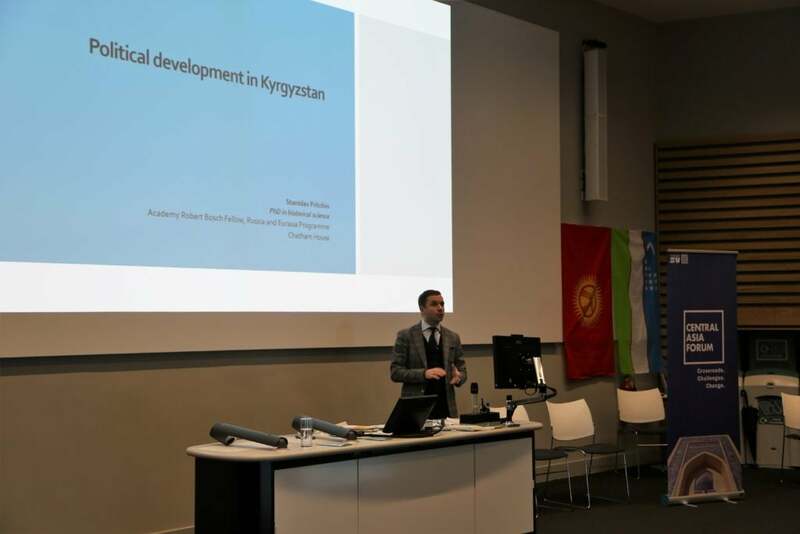 After an ini­tial intro­duc­tion by the event’s organ­isers, the con­fer­ence was opened by Chath­am House research fel­low Stan­islav Pritchin, who spoke about the cur­rent polit­ic­al situ­ation in the Cent­ral Asi­an region, with a par­tic­u­lar focus on Kyrgyzstan’s recent revolu­tions and demo­crat­isa­tion. 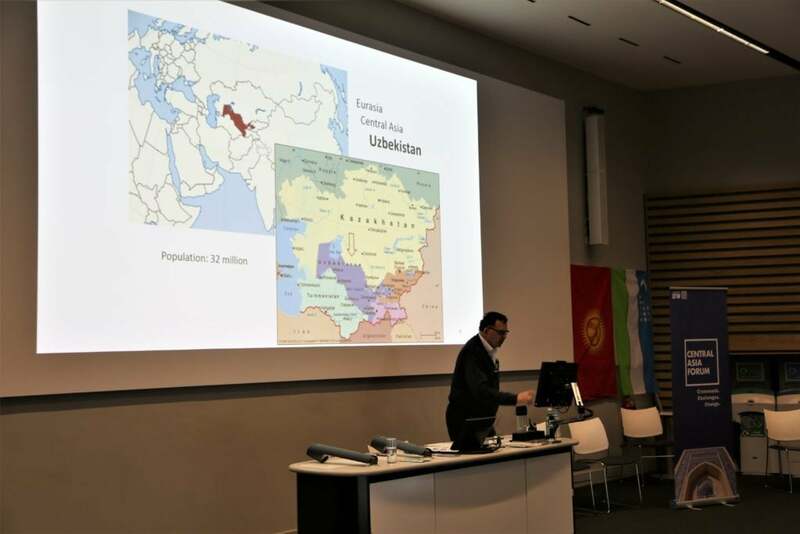 Fol­low­ing on from Pritchin was SOAS polit­ic­al sci­ent­ist Alish­er Ilkhamov, who spoke about Uzbekistan’s sys­tem of neo-pat­ri­mo­ni­al­ism, with­in the country’s post-soviet con­text. 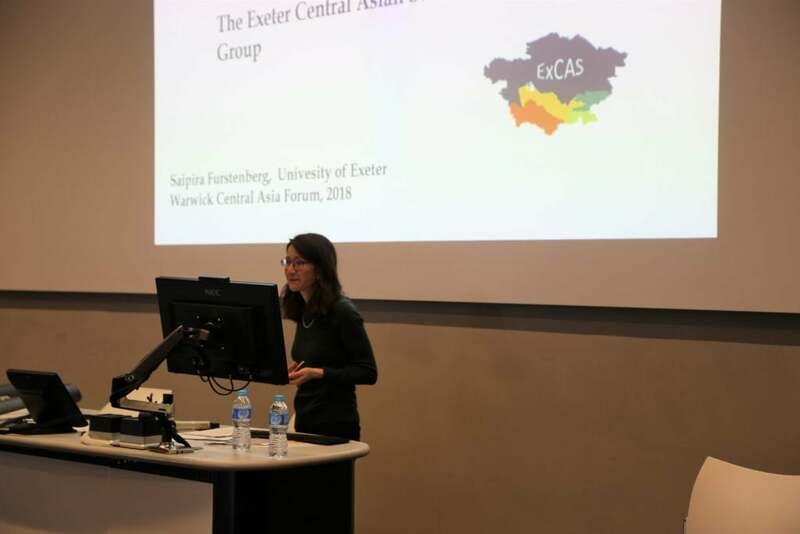 The con­fer­ence resumed after a short refresh­ments break, with Saipira Fursten­berg, a War­wick alum­nus and then research­er at the Uni­ver­sity of Exeter, present­ing her ori­gin­al research about the Cent­ral Asi­an Polit­ic­al Exile Data­base pro­ject. One of two art research­ers at the event, Diana T. Kudaiber­gen­ova, was next to present. Her inter­act­ive talk focused on con­tem­por­ary Kaza­kh artists who have explored ques­tions of mod­ern­ity and post-soviet Kaza­kh iden­tity. The Lund post-doc­tor­al fel­low was able to expertly show the audi­ence the effect that these ques­tions have had on their art­works. The final talk of the pre-lunch ses­sion was the key­note speech, by His Excel­lency, the Kaza­kh Ambas­sad­or to the United King­dom. His speech was eagerly listened to and fol­lowed by an exten­ded ques­tion-and-answer ses­sion, in which inter­ested listen­ers quer­ied the Ambas­sad­or on cur­rent Kaza­kh policy and soci­ety. The ses­sion stopped there­after, sig­nalling the start of an exten­ded lunch break. The after­noon ses­sion began with break­out sem­inars, where audi­ence mem­bers were giv­en the choice between three dis­par­ate but equally com­pel­ling present­a­tions. 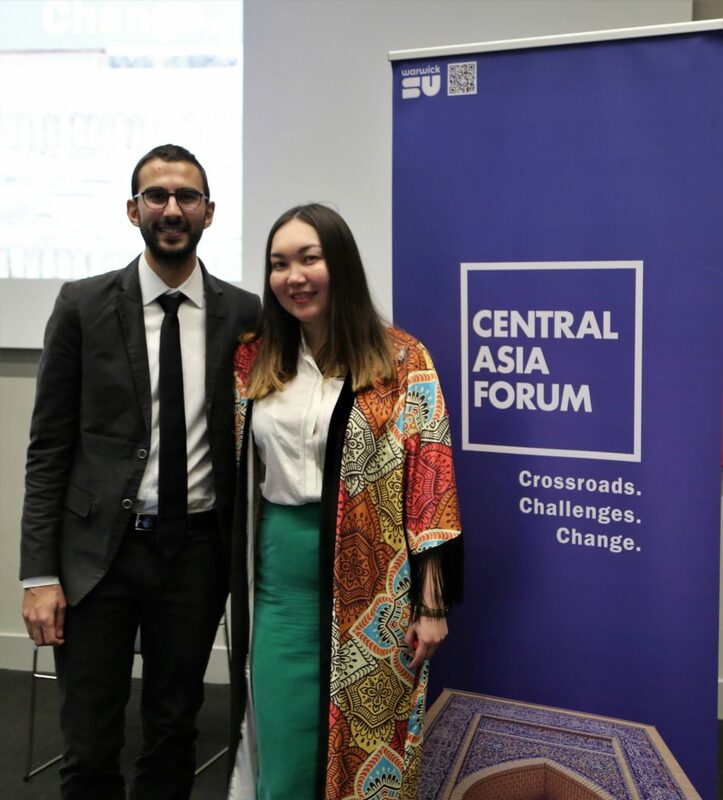 These were giv­en by Stan­islav Pritchin, who spoke about Rus­si­an and Chinese rela­tions in Cent­ral Asia, Aliya Abykayeva-Tiesen­hausen who spoke about Kaza­kh­stani artists work­ing abroad, and Alex­an­der Mor­ris­on, an aca­dem­ic from Oxford Uni­ver­sity, who spoke about his time teach­ing at Naz­ar­bayev Uni­ver­sity in Kazakhstan’s cap­it­al Astana, as well as con­tem­por­ary chal­lenges facing the Kaza­kh edu­ca­tion sys­tem. These ses­sions enabled a closer inter­ac­tion between the presenter and listen­ers, with audi­ence mem­bers ask­ing ques­tions about the talk and con­trib­ut­ing to the ensu­ing dis­cus­sion. The conference’s attendees reas­sembled in the Forum’s main hall after the break­out ses­sions for the final talks of the day. Paulo Sor­bello, of Glas­gow Uni­ver­sity, spoke about trans­form­a­tions in the region’s energy sec­tor, with a focus on Kaza­kh, Uzbek and Turk­men oil. Before the speak­ers and audi­ence mem­bers were invited to mingle with com­ple­ment­ary glasses of wine and snacks, Mark Jahnke gave an enthralling present­a­tion about his exper­i­ences work­ing as a US peace-corps volun­teer in rur­al Kyrgyz­stan. Jahnke spent two years work­ing to improve the area’s HIV edu­ca­tion and elo­quently spoke about the country’s cur­rent approach to the top­ic, as well as his sug­ges­tions for future improve­ment. The inaug­ur­al Cent­ral Asia For­um drew to a close with a final speech of thanks by the con­fer­ence organ­isers and the ensu­ing wine recep­tion. The genu­ine interest and inter­ac­tion between speak­ers and audi­ence mem­bers was integ­ral to the conference’s pos­it­ive atmo­sphere and laid a strong found­a­tion for future events. Twice Kaza­kh­stan ambas­sad­or to the UK, Mr Idrissov’s oth­er polit­ic­al achieve­ments include serving as for­eign sec­ret­ary to Kaza­kh­stan and act­ing as the ambas­sad­or to the United States. He has been con­sidered integ­ral to Kazakhstan’s chan­ging rela­tion­ship with the rest of the world dur­ing the twenty-first cen­tury, and is a key polit­ic­al power broker in con­tem­por­ary Cent­ral Asia. Region­al ana­lyst for Cent­ral Asia and the Caucuses at world-renown think -tank Chath­am House. Before Chath­am House, Dr Pritchin served as a research fel­low at the Centre for Caucasi­an and Cent­ral Asi­an Stud­ies at the Rus­si­an Academy of Sci­ence, as an exec­ut­ive part­ner of the Expert Centre for Euras­i­an Devel­op­ment, and has lec­tured at sev­er­al Cent­ral Asi­an Uni­ver­sit­ies. He is a world-lead­ing expert on the role of Rus­si­an for­eign policy in the Caucuses. An expert on the his­tory of Cent­ral Asi­an art­work, her pion­eer­ing new book; ‘Cent­ral Asia in Art: from Soviet Ori­ent­al­ism to the New Repub­lics’, details the role of art in Soviet Russia’s imper­i­al pro­ject in Cent­ral Asia, namely through the rep­res­ent­a­tion of Cent­ral Asia as the co-con­stitutive ‘oth­er’ to Rus­si­an iden­tity, one that Soviet gov­ernance could gen­er­ously improve. Else­where, Dr Abykayeva-Tiesen­hausen has worked as an icon spe­cial­ist at Christie’s Lon­don, and has pro­moted Cent­ral Asi­an cul­tur­al aware­ness through exhib­i­tions and con­fer­ences. 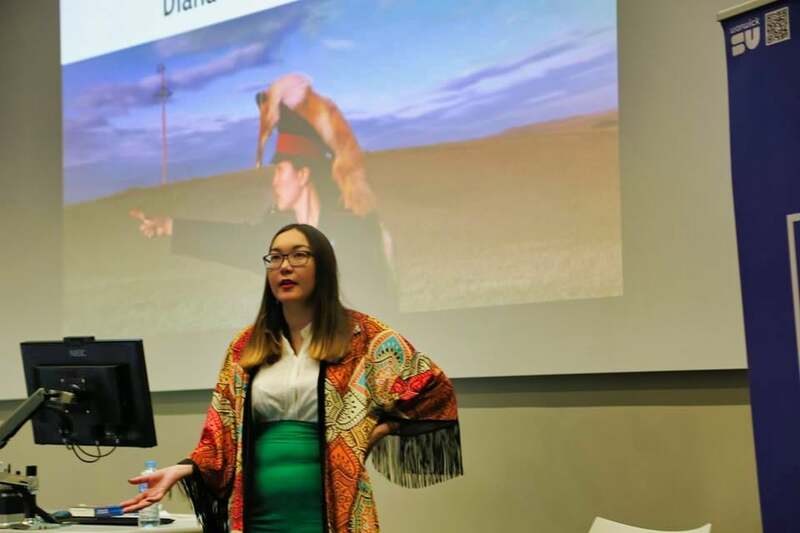 Dr Saipira Fursten­berg, now a lec­turer in polit­ics at Oxford Brookes Uni­ver­sity and pre­vi­ously a postdoc­tor­al research fel­low at the Uni­ver­sity of Exeter, spe­cial­ises in the inter­play between glob­al and domest­ic polit­ics under author­it­ari­an­ism. She is cur­rently work­ing on the Cent­ral Asi­an Polit­ic­al Exiles data­base (CAPE), which tracks the leg­al and phys­ic­al wel­fare of Cent­ral Asi­ans forced from their home coun­tries due to polit­ic­al repres­sion. A journ­al­ist ad PhD can­did­ate at the Uni­ver­sity of Glas­gow. Mr Sor­bello is a spe­cial­ist in Cent­ral Asi­an energy policy and state-busi­ness rela­tions in Kaza­kh­stan, and has writ­ten broadly on issues of gov­ernance and com­merce through­out Cent­ral Asia. He writes for The Dip­lo­mat, Open Demo­cracy, The Con­way Bul­let­in and sev­er­al oth­er pub­lic­a­tions. His art­icles have often focused on the illi­cit man­oeuvres of Cent­ral Asi­an olig­arch­ies. Dr Diana T. Kudaiber­gen­ova is a post-doc­tor­al fel­low at Lund Uni­ver­sity in Sweden. Her focus pre­dom­in­antly con­cerns power, norms and social mean­ings of law. Through these lenses she has stud­ied the form­a­tion of nation states and their con­com­it­ant nation­al­ist dis­courses in Cent­ral Asia, spe­cific­ally Kaza­kh­stan. She has writ­ten a num­ber of journ­al art­icles that typ­ic­ally revolve around themes of Cent­ral Asi­an art, post-soviet nation-build­ing and crit­ic­al geo­graphy. Her most recent book is ‘Re-writ­ing the Nation: Elites, Net­works and Nar­rat­ives in Mod­ern Kaza­kh Lit­er­at­ure’. 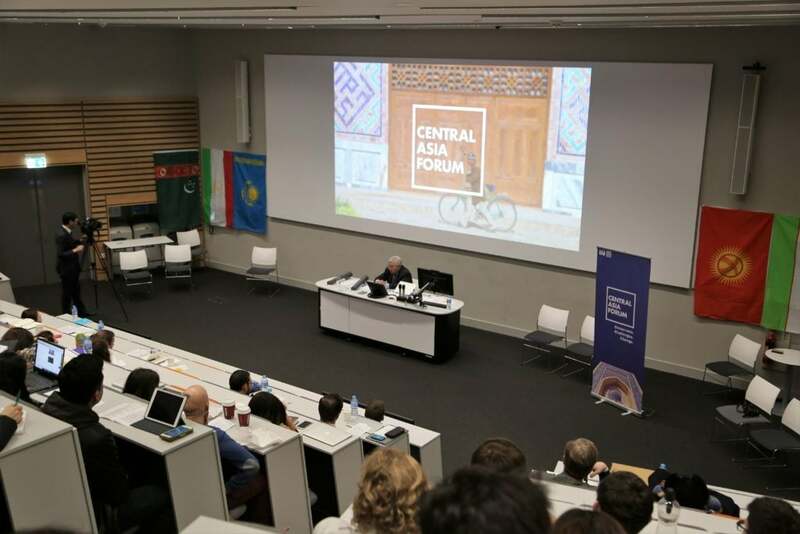 A research asso­ci­ate at SOAS, Dr Ilkhamov has pre­vi­ously held the pos­i­tion of Exec­ut­ive Dir­ect­or at the Open Soci­ety Found­a­tion in Uzbek­istan, before the office was shut down by the Uzbek gov­ern­ment in 2004. He is cur­rently a pro­gramme officer for the foundation’s Euras­i­an pro­gramme, and a writer for The Guard­i­an. 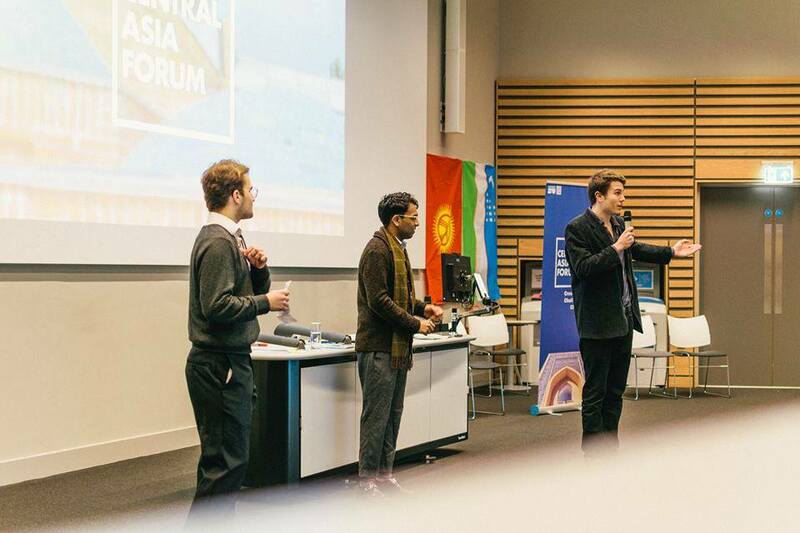 His research focus typ­ic­ally centres around nation state build­ing in Cent­ral Asia, and will be talk­ing about neo-pat­ri­mo­ni­al­ism in Uzbek­istan. Dr Mor­ris­on is a fel­low and tutor at New Col­lege, Oxford. His work has covered the role of Rus­si­an colo­ni­al rule in com­par­is­on to its Brit­ish coun­ter­part. He has pre­vi­ously held a prize fel­low­ship at the pres­ti­gi­ous (and mys­ter­i­ous) All Souls Col­lege in Oxford. He has held pre­vi­ous lec­ture­ships in Cent­ral Asia, and will be reflect­ing on his time work­ing in the Kaza­kh­stan edu­ca­tion sys­tem. He is also the author of Rus­si­an Rule in Samarkand 1868 – 1910. A Com­par­is­on with Brit­ish India. 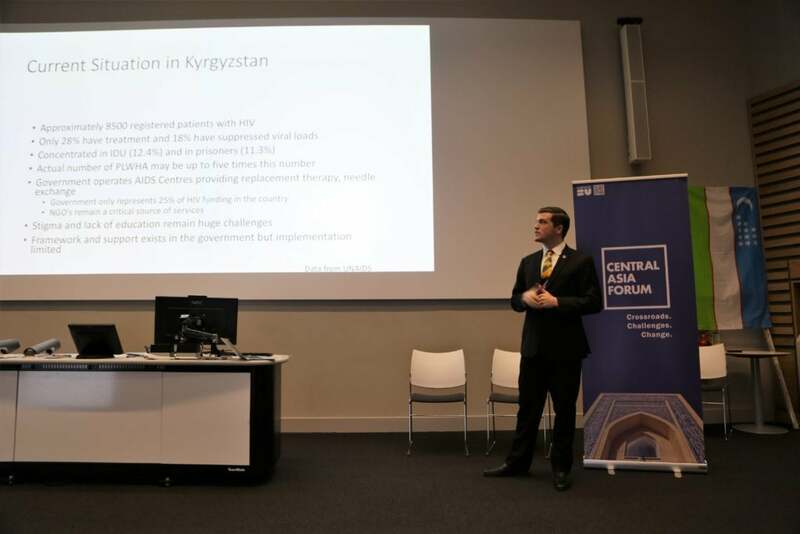 Presently a Ful­bright schol­ar at SOAS, Mr Jahnke has stud­ied near East­ern lan­guages at Har­vard Uni­ver­sity, has worked on HIV pre­ven­tion in rur­al Kyrgyz­stan with the United States Peace Corps, and has under­taken vari­ous pro­jects in Iran, Tajikistan, China, Seneg­al and Qatar. He also ran an award-win­ning blog on life as an ex-pat in Cent­ral Asia, called Monday Bazaar.